The gears have turned; the motor is unveiled. With their riches, the Kochs have built a politi-mechanical juggernaut. Emerging from the camouflage of American tri-color heaped on it by the adoring, paranoid masses, it is as impossible to ignore as a car wreck. Like a John Birch Red Menace, Daddy Koch’s Machiavellian mania has released the agents of a new, darker American ideal. Fed with the souls of middle class workers who voted against their best interests in record numbers last year, they must have realized that it was time for the trap to be sprung. lishment of “right to work” states. Almost sixty-one years, to the day, after Sen. Joseph McCarthy announced “a final, all-out battle between communistic atheism [read: labor unions*] and Christianity [read: Manifest Destiny],” another Republican from Wisconsin has taken the lead against America’s working class. Michael Grebe, the CEO of the Bradley Foundation, the large walleted legacy of a John Birch Society co-founder, ran Walker’s transition team. The Koch Brothers – who have significant holdings in Wisconsin – were among the top five donors to his campaign. 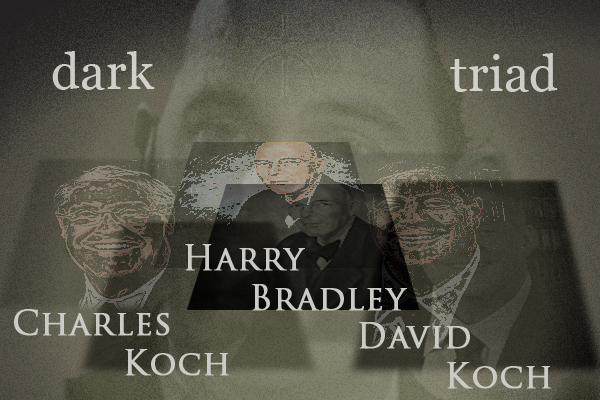 With financial help from them, and money and logistical support from the ultra-conservative Bradley-ites, Walker assisted in the deceit and manipulation of the Wisconsin electorate. While deceptive politicians are pretty much the norm across the US’ political landscape, this was an old fashioned con – a bait and switch. The card played from Gov. Scott Walker’s hand was certainly a surprise to the unions who supported him during the election. “The new administration never attempted to start discussions with the WLEA Bargaining Team or any other bargaining unit. They just dropped the bomb on all of the public employee unions,” asserts the Wisconsin Law Enforcement Association, in a recent statement. Who gains from this deceit? Well, Walker, of course – he gets to be governor – but the biggest winners are the largely anti-union forces who support him. They are the selfish, narcissistic elitists who don’t care for the plight of the workers, who care only for how to make a product as cheaply and unregulated as possible. They are, by their own admission, anti-social – pathologically lacking empathy for the needs of the community, are not ashamed to say, instead, that the country owes the 2% of them much more than it owes the rest of us. They don’t really love America – that would require loving all the people and classes that make America wonderful. They love what America gives them, and they have no qualms about pushing the rest of us out of the way to get it. Sure, they can be charming and intelligent, but they are wooing us into darkness. In the rock-paper-scissors game of life, they are the crushing rock. I was always hearing people say the phrase of so Machiavellian, so i did some research and bought the book “the Prince” i was shocked this 14 15 century politics i see playing out today.. What a READ. Perry, oy, I don’t know where to start. here we go, I will try and keep it short and to the point. 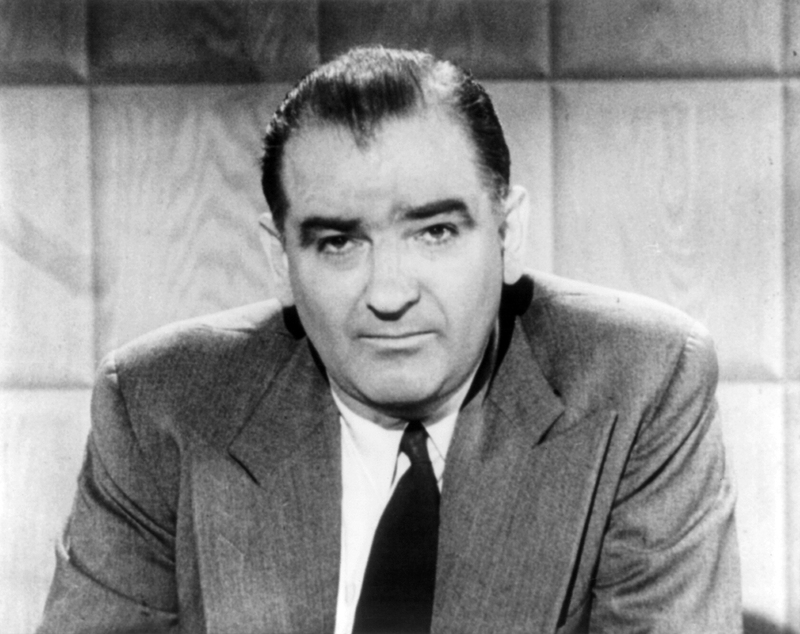 Sen. Joseph McCarthy was right about the destructive force of unions and about communists in our midst. The voters of Wisconsin voted in a Republican governor and a republican congress, not the fat cats and special interests. Governor Scott Walker did not hide his intention or plans to balance the budget. He did not hoodwink the voting public. Finally, although I do not vote or live in Wisconsin, I am anti union. I resent being characterized as selfish, narcissistic, elitist and lacking in care for the plight of the workers. Don’t forget that the 2% (wildly exaggerated), pay the bulk of taxes to the state and get the most disproportionate benefits of any class of citizen. Furthermore, the love of people goes both ways. The days of robber barons was over early last century and your elevation of workers rights rhetoric is so pre-Berlin Wall. The paper you quoted says nothing about unions, workers rights or loving all the people. It does however talk about limited government and liberty.